‧AR-V6002FL works as a fatigue management & database center. Long hours of mining truck operation can take its toll on truck drivers. Accompanied with repetitive movements, drivers are easily distracted, causing work-related accidents. Preventing these accidents not only saves companies from lawsuits and considerable financial compensation, but also increases work efficiency. 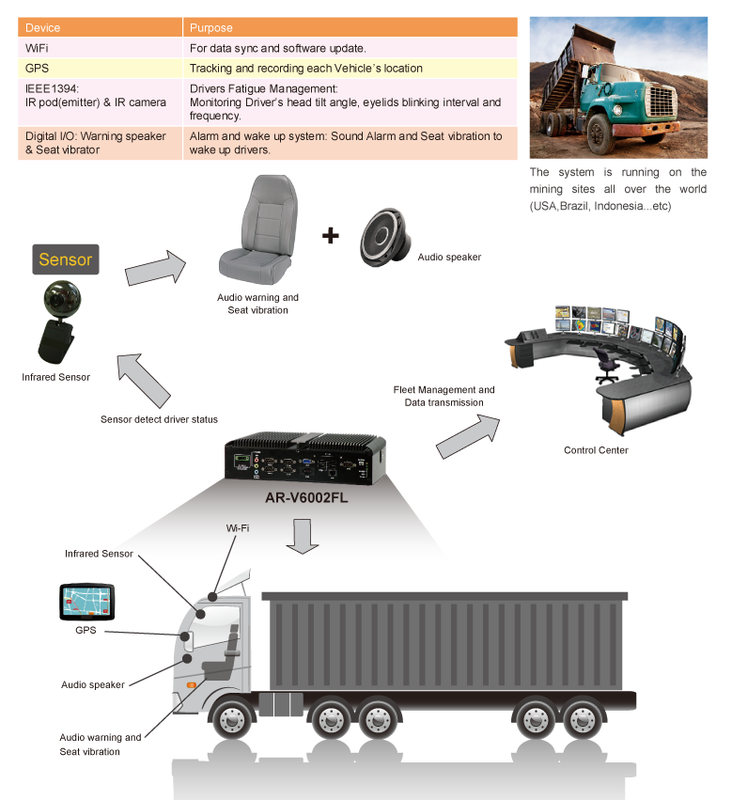 To enforce safety measurements at mining sites, acrosser’s industrial-grade in-vehicle computer was installed on each mining truck, and integrated with an infrared sensor. The sensor could detect whether the driver was fatigue or not based on eye movements, and send a quick vibration alert to the driver’s chair as a warning. The message was simultaneously sent to the job dispatch center to notify fleet managers to arrange a replacement to avoid the occurrence of any severe problems. Next Next post: Cleaner, Faster and Smarter!